It's no surprise that Charlotte is becoming one of the most popular cities in America quickly. With approximately 54 new people moving here each day, we really are gaining some national traction. This is further supported by the movies and television shows who choose Charlotte as a backdrop for their projects. Last year, one of the most popular shows EVER, The Bachelor, chose Charlotte as a location for their in-person casting calls, and guess what...we've been chosen again, for a LIFETIME show! 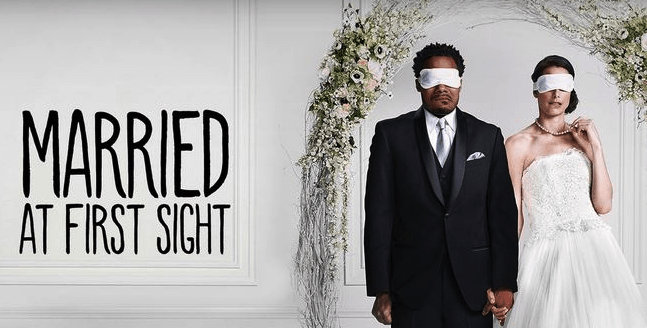 Married at First Sight, one of the most baffling and hopeful shows on television, has chosen Charlotte as their next location to search for 3-4 couples to be wed at first sight. The show has become increasingly more popular since it first aired in July 2014 and has aired eight seasons since then with true success stories! 6-8 individuals are chosen from a large pool of applicants and paired into 3-4 sets of couples to be married to each other without ever having formally met, or even seen each other. That's right, the first time these people see each other, is when they are walking down the aisle to be married in front of about 50 friends and family members...and cameras. You then follow the couples separately as they work together, with the assistance and marital coaching of the show's experts, through the following 8-weeks by experiencing their honeymoon, moving-in together, and all of the other real trials and tribulations that come with marriage. At the end of the 8-week process, the couples decide if they want to continue their marriage, or if they want to call it "quits." This sounds crazy, but the thorough amount of research and science that goes into these selections, is what makes this show unique, and what has resulted in around 5 successful and lasting marriages AND families. I spoke with Dr. Pepper Schwartz, an American socioligist and sexologist, who works as an expert on the show. One of Dr. Schwartz's many roles on this show, includes visiting the chosen individual's homes and sitting down and talking with them in order to get a real feel for what kind of person they are: how they are wired, gauging their personalities, getting details on their family life, political views, values, lifestyle, and truly just getting to know them as a person, so that they can be matched appropriately. She assured me that every step is taken very seriously and minute details are taken into consideration to make the best possible matches that will produce the happiest marriages. I asked her about the methodology of the show and what they are looking for in a candidate, to which she expressed, that the first and most important thing that they look for in an applicant, is that they really, truly want to get married and are wholeheartedly committed to the process. Currently there are live casting producers and recruiters stationed throughout Charlotte looking for individuals who fit the bill, and are truly interested in getting married. These producers and recruiters go to places that the individuals they are looking for might frequent, such as: bars, clubs, casual street encounters, Starbucks, etc. There are also online applications that can be filled out by either an interested individual, or a nominator who believes they know someone who would not only be a good fit, but would benefit greatly from the process. Approximately 2,000-3,000 applications are received per-city. The casting group then goes through the applications and narrows the selections down to several hundred individuals to move forward, which includes legal processes, background checks, health related screenings, meet-and-greets, information sessions, and more intentional interviews and applications to assist with narrowing down the selection and finding the perfect pairs. While I mentioned that there have been 5 successful marriages that have come from the show, Dr. Schwartz expressed that they don't measure success solely on whether the marriage lasts or not, "...If our individuals leave knowing themselves better or leave armed with the knowledge and experience to make them a different and better partner to others, that is considered a success story." WHAT HAPPENS IF YOU'RE CHOSEN? If you are chosen to be one of the couples who is married at first sight, you will receive a generous budget for both your wedding gown, rings, reception, AND Honeymoon. To learn more about the show itself, read about it here! The show is projected to begin filming in February, so there is definitely still time to apply and nominate if you know of someone who would be a great fit for this show!